I feel like we haven’t talked about PPE for like 5 minutes, so maybe we should go over it again. 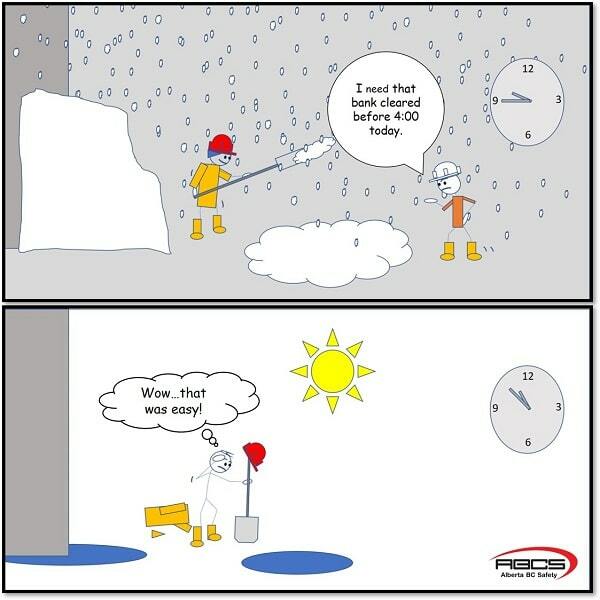 PPE changes with every task you do and with the weather you’re working in. For example, what you might use for PPE in summer, while working on the top of the high line compared to what you may use in the dead of winter, working in a hoarding are very different. Say you’re welding, in a hoarding; since you are closed-in, you should wear a respirator to avoid inhaling fumes. Whereas, working at the top of the high line, it’s nice and open and you may forego the respirator (I’d still recommend wearing one, but that’s me). The gloves you’d wear in the summer would be very light, just giving you coverage for the heat of welding. In the winter, you’d want something with the same coverage but also extra lining for warmth. In the summer, I prefer to wear ear plugs for ear protection and in the winter I opt for the ear muffs style since it offers some warmth as well as protection. Your boots should also be different. I’d recommend getting a good pair of winter boots and a light, good quality pair for the summer. You can probably make it through winter with your summer boots and just double up on socks but in these Canadian winters I really wouldn’t recommend it. You’d want to invest in a pair of lined coveralls or work pants for the cold, and definitely a light pair for the summer. Summertime, you won’t be wearing a jacket, just long sleeves; whereas in the wintertime, an extra warm jacket. As you can see, the PPE you’d wear could change drastically, and we haven’t even touched on working in wet conditions. You need to know what you’ll need for every day. It’s good to leave some extras at work if you can. Our weather can go from scorching to freezing in the snap of a finger and vice versa. Know your tasks and what you’ll need. Don’t let a sudden change in the weather or a task change make you vulnerable to an injury just because you weren’t prepared.